The goal of our paving company is to provide a durable driving surface that will stand up well to the Manchester weather, be uniform, look good, and last for years to come. We are a driveway company that works with Resin, amongst other materials. To install durable Resin we know that we have to keep in mind quality every day and everything else that goes into a great paving project. 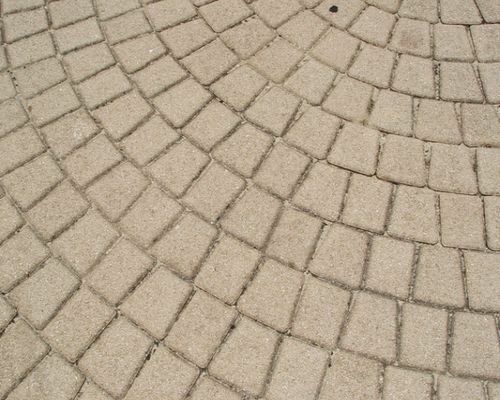 Not only are these situations considered but the appropriate action is taken to make sure that all on site situations are taken care of to make the best Resin driveway, path or car park possible within budget. A driveway is like a painting or frosting a cake. The last step is what you see, but the preparation and foundation and all other aspects of the installation work affects the durability of the final job which is not visible until later on. With a great looking cake until you eat it all you have to go by is its appearance. The same can be true of a Resin driveway project. Poor compaction, poor base compaction, too thin layers can all look good at completion but not stand the test of time, break down crack and settle. Here at Driveways Manchester, we have the know-how, equipment and highly trained crew to handle your driveway and car park installation and maintenance needs. To maintain the position of being a first class paving contractor we are always striving to maintain the highest standards of workmanship with your needs in mind. Every day we are applying both the art and science of paving to what we do on every paving job. On each project there are key problems to resolve so that the driveway comes out right. It may be the proper slope and drainage on an older property where building extensions have made it difficult or a badly settled and broken pavement that now has to be taken out, a better base installed and thorough compaction of the base to make a good foundation for the pavement to last. The basic of a good driveway generally consists of the following four steps. First we do a thorough examination of your job site to determine what the situation is and what the best solution is. After satisfactory agreement with the property owner on the solution we then implement what is generally a multi-step Resin pavement installation. Initially, the construction area is excavated to the correct depth and grade. It is also carefully levelled to achieve the right amount of drainage from the paved surface that is to be installed. Next, a base course to lay a strong foundation is added that is well drained to support the finished asphalt. Finally, a Resin mixture is applied on top, the right sized roller is used to compact in place and seal the joints. The end result is to construct a smooth unified pavement that is durable over time and looks great. Contact us or fill out the free quote form or for any questions you may have. .